When a fun couple gets married, they have a fun wedding! Laura and Lucas tied the knot at Horseshoe Resort in Barrie, Ontario on a beautiful summer's day. Their wedding was captured by Jennifer Newberry Photography, who did a wonderful job of telling this vibrant couple's story and capturing the charming nuances of their personalities, which were so thoughtfully infused into the day. We love the drama that a cathdral veil, floating in the wind creates. All photography by Jennifer Newberry Photography. This real wedding makes us want to shout from the mountaintops that Jasper, Alberta is one of the prettiest places in the WORLD to host a winter wedding! Darla & Jeff's winter wonderland wedding, captured by Sofia Katherine Photography, boasts some of the prettiest bridal party portraits that we've seen in a long time! But don't take our word for it - see the breathtaking beauty for yourself and be prepared to swoon. 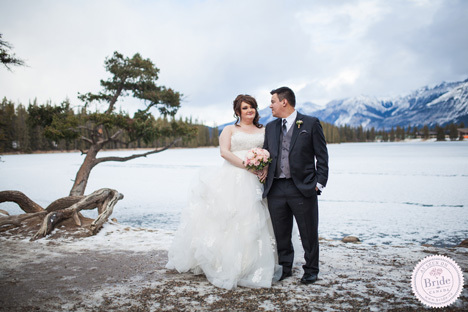 Frozen lakes and snow covered mountaintops offer an incredibly picturesque backdrop and these two lovebirds knew it would certainly be worth getting a bit chilly for! We loved the idea of having a winter wedding with snowflakes everywhere and there was no better place for that than the beautiful Rocky Mountains. We have a love affair with the Rockies, plus it's where Jeff got down on one knee and popped the question! "It was covered in Swarovski crystals and when I saw it, I thought it sparkled like snow and knew that I had to have it!" 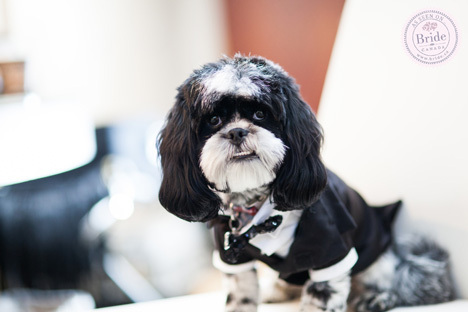 This little guy's name is Charlie and his cuteness factor is just. too. much! Elegant, classic, and heartfelt; three words that describe the wedding of Antonella and Frank perfectly. The Ontario couple were married in a beautiful church ceremony and lavish wedding reception at The Venetian Banquet Hall. A windswept veil gets us every time. Erika Hammer of Ten·2·Ten Photography captured every intimate moment of the couple's day, and shares a few words about their love-filled nuptials. 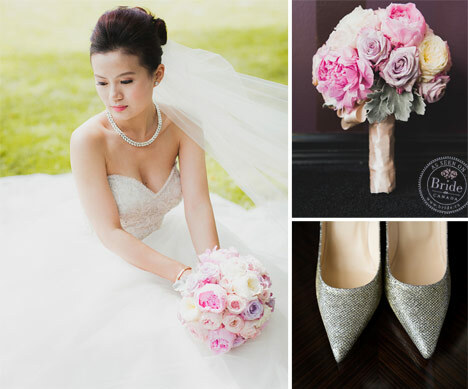 Behind all the glitz and glamour of a wedding day are two people who are truly in love. Frank and Antonella's wedding day was filled not only with lavish and luxurious details, but also with love for one another and from their families. Having photographed over 100 weddings, I rarely get a chance to see such an incredible outpouring of love. 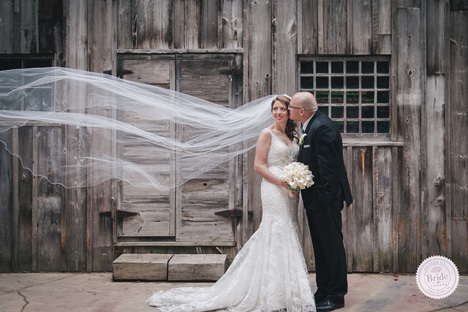 "Lucy and Dustin's wedding was a truly beautiful affair that intertwined not only their deep love for one another, but also their connection to culture and place. Bonds of love, light, and life run powerfully though the event of their union, from the century-old fishing cannery with the family connection that was transformed into an unforgettable reception venue, to the locally sourced and handcrafted items that made their day unique. Lucy & Dustin along the banks of the Skeena River in beautiful Northern BC. Captured by Tyler Meers Photography. 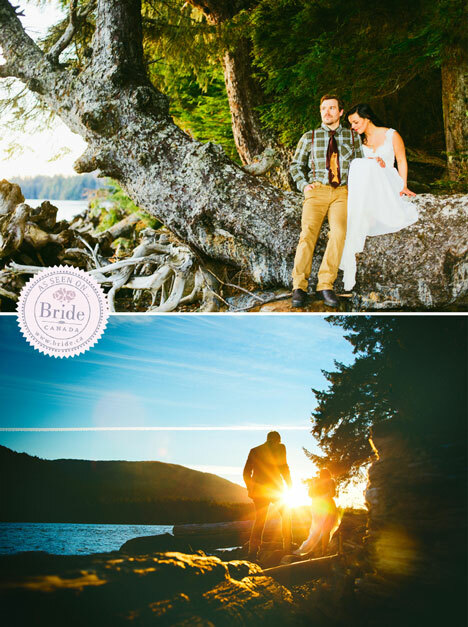 Dustin & Lucy met and live in the coastal community of Prince Rupert, British Columbia, and wanted their wedding theme to emulate the mountains, streams, and coastline that they love so much. The vision for their wedding was simple: sea-foam meets mossy forest floor. "We tried to keep it as natural and local as possible," says Lucy. 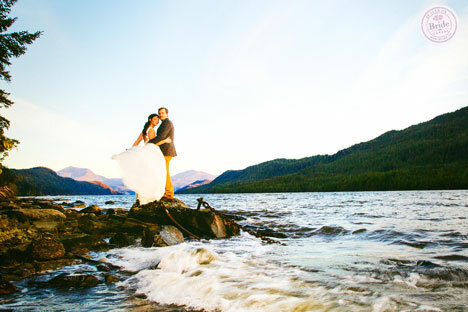 With the breath-taking scenery of Prince Rupert and its surrounding areas, natural and local made for one incredible wedding day location. Lucy is a member of the Nisga'a nation, an indigenous group from the northwest corner of British Columbia. Lucy's connection to her heritage comes through in many of the wedding details that you will see in this story. Add to that, the couple's love for their community and you have an affair brimming with personal touches and beautiful nods to nature. 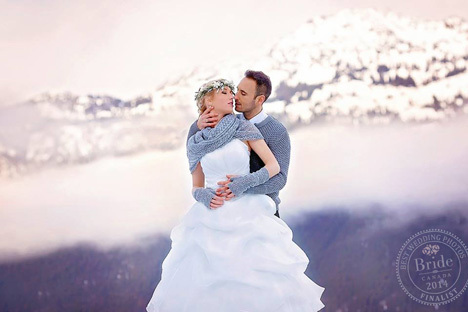 You may remember Dustin & Lucy as the winners of our 2014 Best Engagement Photo Contest: Winter! You can see their winning photo (also photographed by Tyler Meers Photography) here. 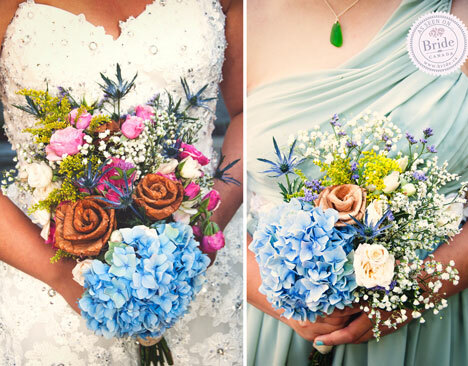 The boutonnieres, crafted of cedar bark roses, hydrangeas, and sprigs of Rosemary, were lovingly made by Lucy's bridesmaid. Lucy handmade tiny cedar-bark rosebud earrings for each of her bridesmaids; their pendants were made from sea glass gathered from the beaches near the cannery and crafted by a Prince Rupert artisan. 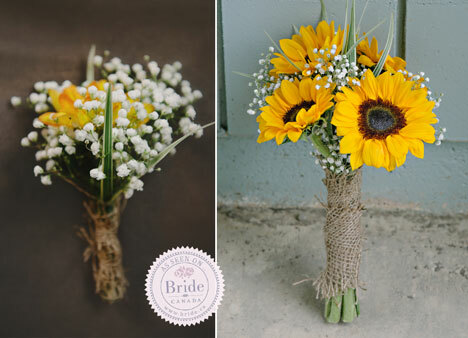 The bouquets included cedar-bark roses hand-woven by Lucy, her sisters, and other women in her family. The groom & groomsmen wore unique ties that had been silkscreened with a Chinook salmon, gifted to them by local artist Kostan Lagace. Lucy and Dustin look down from the upper floor of the First Nations netloft at the North Pacific Cannery. From Tyler: "North Pacific Cannery is a National Historic Site and the longest standing cannery on the northwest coast. Situated outside of Port Edward on Cassiar Road, about 25 kilometers from Prince Rupert, the cannery is a collection of wooden, tin-roofed buildings spread along a tidal river bank and connected by a series of boardwalks. To Lucy and Dustin, North Pacific symbolized the heartbeat of coastal life - salmon. Wild salmon are integral to First Nations culture and existence, and many coastal communities would not exist if it were not for this precious food." 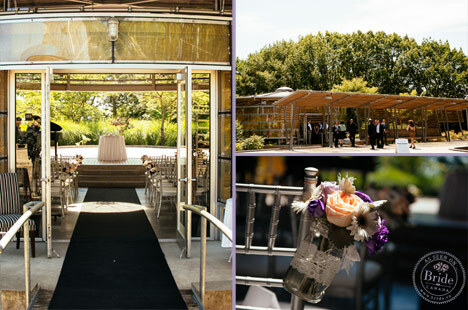 The North Pacific Cannery offers a truly amazing wedding venue, with airy high-rafter cielings and picturesque views. Each of the 168 cedar bark roses that were given as wedding favours, were lovingly crafted by Lucy, her sister Nikita, and other members of her family. The roses were made by harvesting strips of red cedar tree bark, drying and cleaning it, then hand-weaving the strips one by one into lovely, unique roses. From Lucy: "My grandma's moms name was Rose, and I really wanted to incorporate them to honour my Ool'ie." 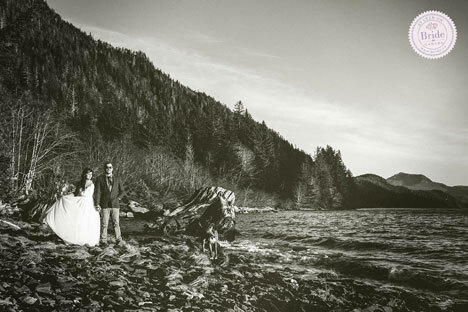 The couple, as they chase the sun along the banks of the Skeena River. This duo has style, style, and more style! Dustin sports his custom Kostan Lagace tie and Lucy is radiant in her reception dress. Photography: Tyler Meers Photography (Prince Rupert). Second photographer: Punita Moudgill-Milton. 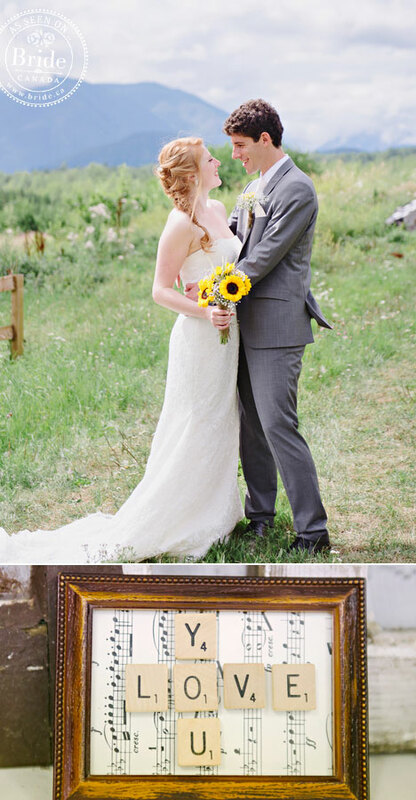 Real Wedding: Emilie & Jan - Rustic, Backyard & Very DIY!
" Living in the northern part of Canada, we get an amazing opportunity to have the gorgeous mountains and rivers as our back drop. Everything about this wedding makes you warm and fuzzy inside! " This beautiful couple met during bible studies, their love for one another shines bright enough to make the heart smile. 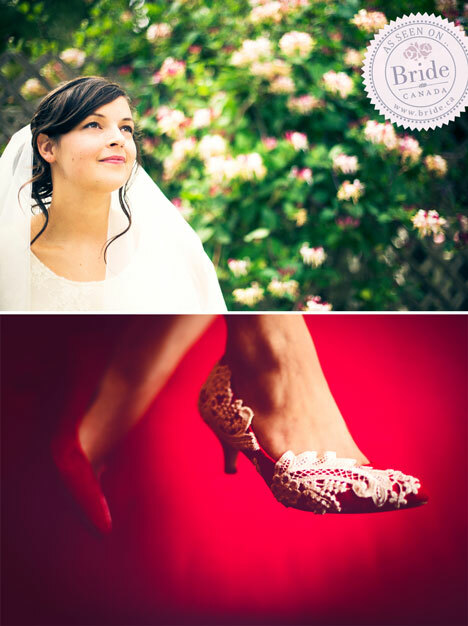 Photography + Comments, Captions & Narration by Stefania Bowler Wedding Photography, Vancouver & BC Interior. The couple decided on a simple back yard wedding accompanied by their closest friends and family who came from near and as far as Germany.
" .. over 1,000 photographs, 37 finalists, 8,000 people voting on social media .. "
Kudos & Congratulations to All the Finalists! An extra shoutout must go out to Saskatoon shooter Martine Sansoucy. In an unprecendented show of artistic prowess and popularity both, Martine placed four finalists in our top-20! (She was also a finalist in 2012 and 2013) We have run this contest since 2009 and no one has ever come close to that. Great showing! New Year's Eve has to be one of the best nights of the year to get married. Period! Everyone is already in great spirits on December 31st, and the fun and festiveness of a wedding only adds to the merriment. Best of all, counting down to the new year takes on a whole new meaning when the happy newlyweds beside you are also counting down the start of their first year as newlyweds. 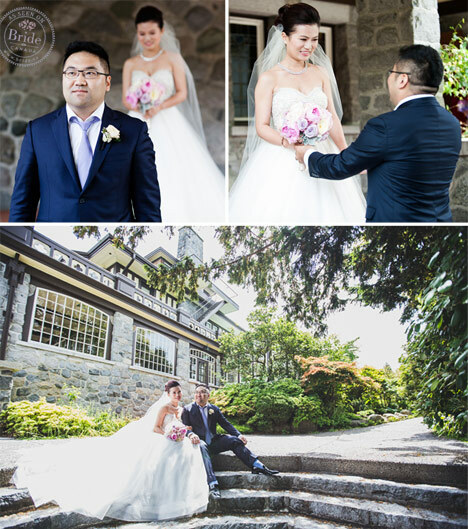 Cara & Selwyn tied the knot with their family and loved ones at the Diamond Ballroom in Vancouver. Having planned a lovely photo session with the bridal party at Jericho Beach? 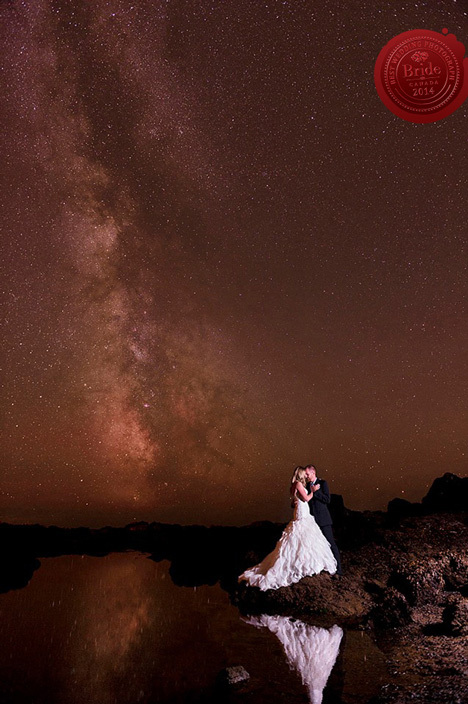 !, the bright, clear sky was undoubtedly a welcome sight when Cara & Selwyn awoke the morning of the wedding! 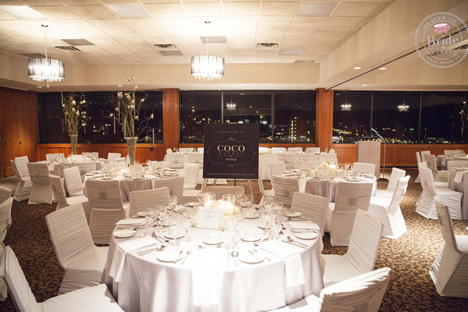 Lara of Coco Events & Weddingscreated a beautiful, intimate atmosphere for the couple's evening ceremony at the Diamond Ballroom in Vancouver and planned the day perfectly, from start to finish. The beauty and elegance continued into the dining room, where the newlyweds and their guests enjoyed a delicious catered dinner, lively speeches and the great views that the Diamond Ballroom is known for. 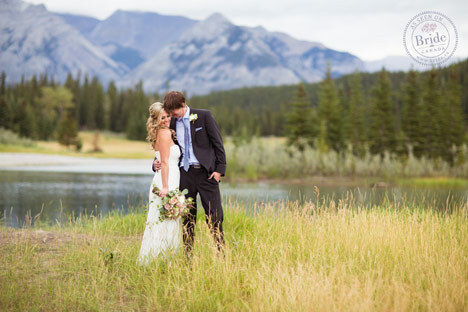 Abbi & Chris were married this past August in picturesque Banff, Alberta, under blue skies and in the company of their loving friends and family. The couple wanted the world to surround them on their wedding day and the Juniper Hotel & Bistro was the perfect location to make that dream a reality. 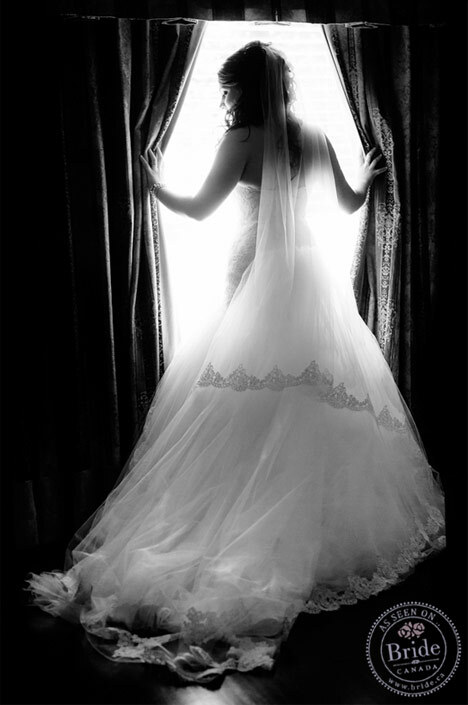 Nicole Modde, of NC Photography, photographed the couple's wedding day and succeeded in capturing the beauty all around! 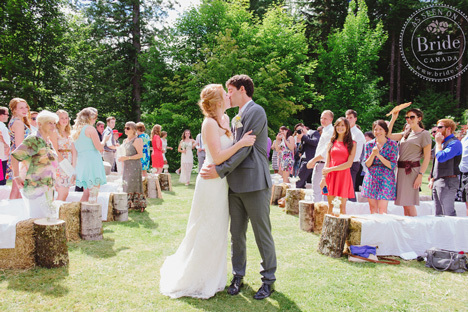 Abbi & Chris enjoying one another's company on their wedding day in beautiful Banff, Alberta. Abbi chose sparkling (amazing!) heels by Jimmy Choo. 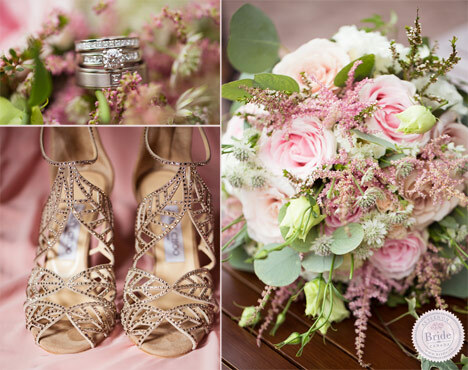 The beautiful floral decor was created by Willow Haven Flower Shop in Canmore. 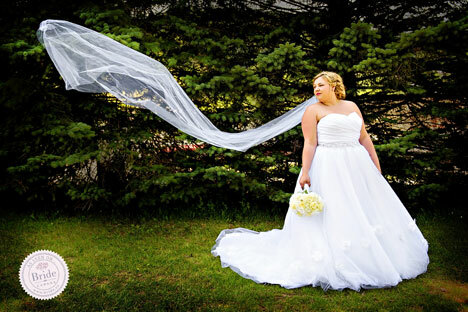 Abbi's chiffon wedding dress, as well as the bridesmaids' blush dresses (style 2890 by Dessy), were from Pure Bridal in Edmonton. The girls' hair & makeup was done by Calgary-based Claire Marjanen Hair & Makeup Artist. A cute hand-painted sign directed guests to the wedding ceremony, which was held outdoors at the Juniper Hotel & Bistro. The decor at both the ceremony and reception was expertly planned by Jenelle Jamani of Special Event Rentals in Calgary. 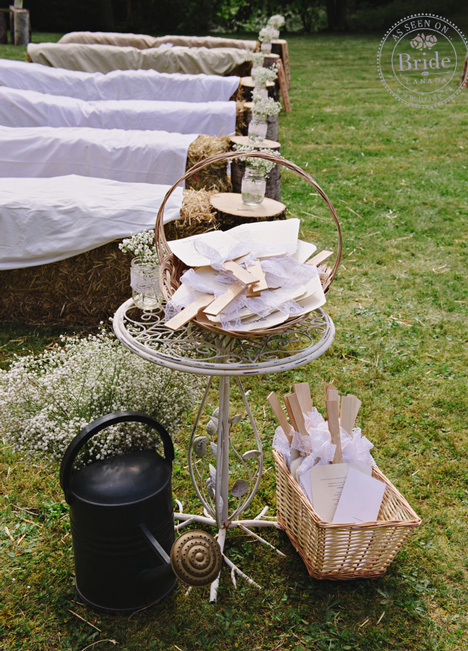 The umbrellas, which thankfully ended up only being there "just in case", were certainly a thoughtful touch for guests! The happy couple, Natalie & Braden, enjoying a quiet moment as husband and wife. We had a hard time deciding which photos to share with you because, simply put, this wedding was absolutely spectacular! 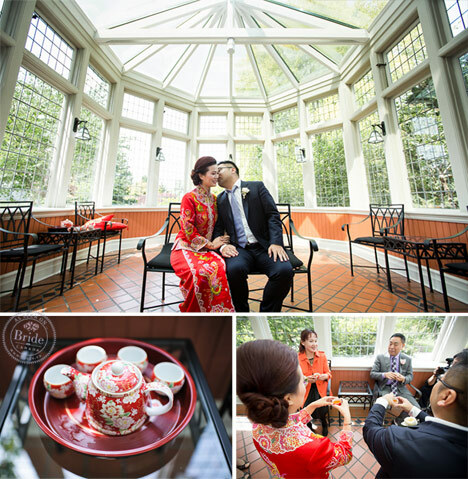 Natalie & Braden were married at the Celebration Pavilion at Queen Elizabeth Park in Vancouver. Their reception was held at the equally beautiful Diamond Alumni Centre in Burnaby. 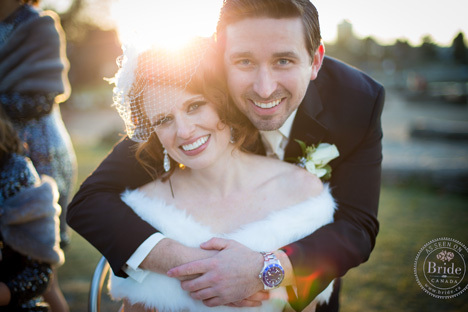 The flawless day was captured by Will Pursell of Will Pursell Photography and planned by Lua Weddings & Events. --click on any of the photos to see more. Our favourite thing about this wedding? The way that Natalie & Braden shared their love of all things country (they both wore cowboy boots!) and at the same time, infused the day with one elegant touch after another. 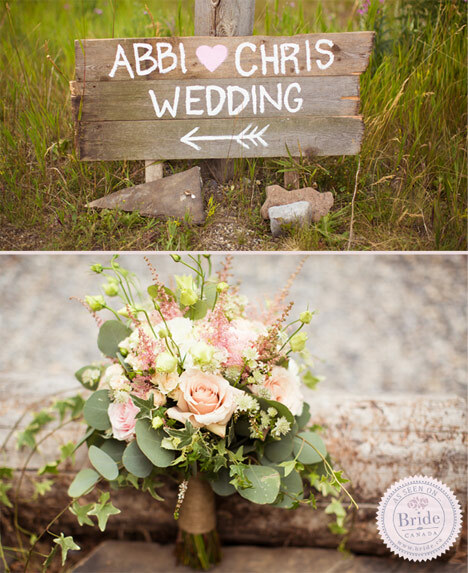 This rustic country affair is proof that you can indeed have an elegant AND charming rustic-themed wedding. which was purchased from Bisou Bridal. 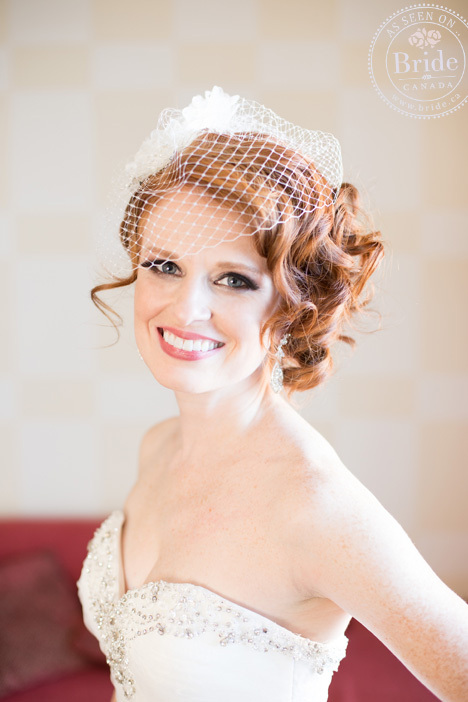 Her hair and makeup was done by the talented team at Pillars Salon & Spa. Touches of lace adorned mason jars and added a romantic feel to the rustic décor. Purple, peach, and white make for a beautiful color palette, don't you think?! The ceremony floral arrangements and wedding party florals were created by Garden Party Flowers in Vancouver.